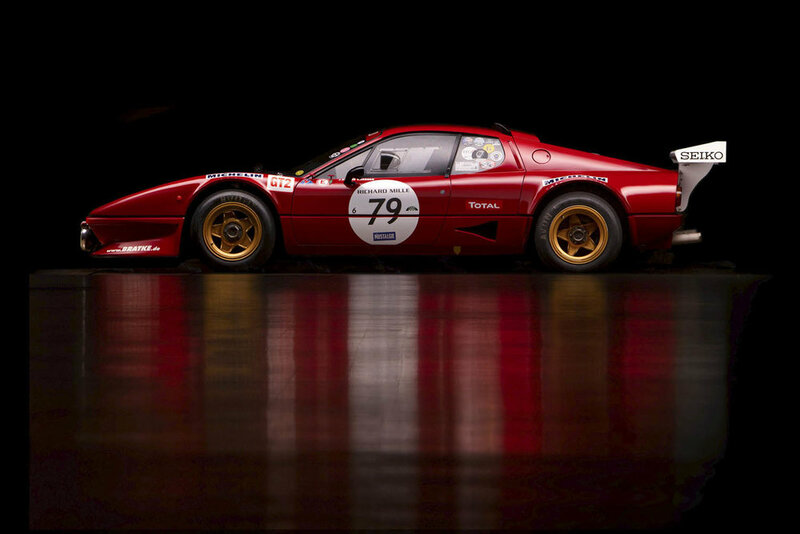 Nineteen seventy-six was a dark year for Ferrari in terms of GT racing. Distracted by Niki Lauda’s success in Formula 1, Ferrari had left its clients with no factory assistance, and for the first time in Ferrari’s fabled history, no Ferraris would compete at that year’s 24 Hours of Le Mans. Just up the road, however, Ferrari had just unveiled the successor to the 365 GT4 BB – the Ferrari 512 BB. A larger 5.0-litre V12 engine, clothed within a beautifully styled body proved a success, the 512 BB was Ferrari’s top supercar until the Testarossa came along. With petitioning from serious customers, Ferrari’s Customer Assistance department started development on a racing version of the 512 in 1978. The result, a gentle monster packed in one of the sexiest GT bodies around, which can be seen here. This example was fitted with the factory ‘Le Mans Kit’ by its original owner immediately after taking delivery. This upgrade saw power output increased to 460 bhp, with the overall weight of the car brought down to 1,230 kgs. The bodywork was also modified which included the removal of the pop-up headlights, front and rear spoilers to aid aerodynamics, and flared arches to cover the racing tyres on 9 and 12 inch rims. The car also received larger brakes to keep its additional performance in check. Raced by Kiesgen between 1980 and 1985 in Germany, the car was entirely revised by Bratke Motorsport in 2006. The engine and gearbox were overhauled, the bodywork restored, a FT 3 tank installed, and a contemporary FIA-approved roll cage mounted. 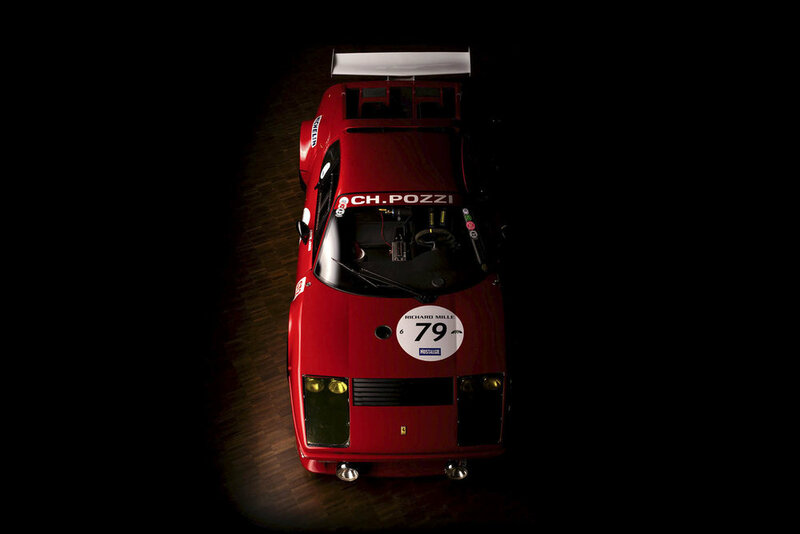 After a 2012 race at the Red Bull Ring where the oil supply caused engine seizure, a yearlong engine restoration was undertaken with the goal to bring the 512 BB LM up to 2014 safety standard. Most recently, it competed at the Le Mans Classic in 2016 and 2018. 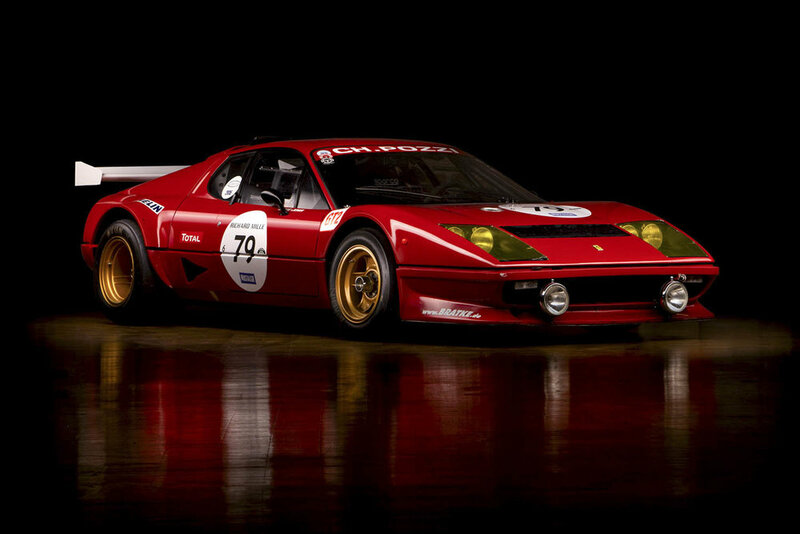 RM Sotheby's will be offering this 1980 Ferrari 512 BB 'Competizione' at their upcoming Paris Auction on the 6th February. For more information on this and other vehicles at the sale, click on the link below. Photos: Philipp Löhmann ©2018 Courtesy of RM Sotheby's.